One of the best pieces of baby advice I was given when I first became a mom was to create a relaxing bed time routine for baby. It was the one thing that stuck with me and one the best things I did with my oldest, now 11. I was lucky when it came to him. So when baby number two came around, I made sure to follow some of the same routines I did with him. Every baby is different but having been through this before, I know babies thrive with routines. As she has gotten old, her routine has changed a bit from when she was a newborn, but she looks forward to her nighttime routing as much as I do. 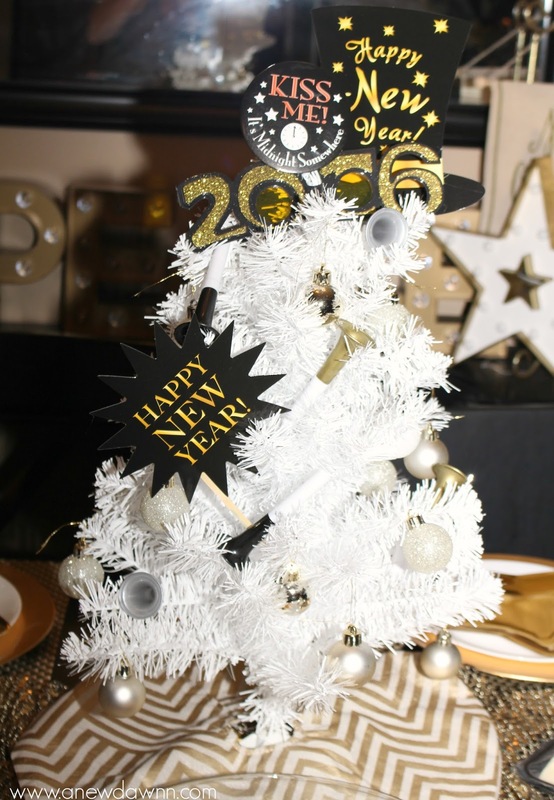 Now that we’re winding down from our Christmas celebrations over here, my focus is shifting to this weekend and our annual New Years Eve party. Most, if not all, of our holiday decorations stay up until after Three Kings Day but they get a little update between now and then. Including my kitchen decorations. 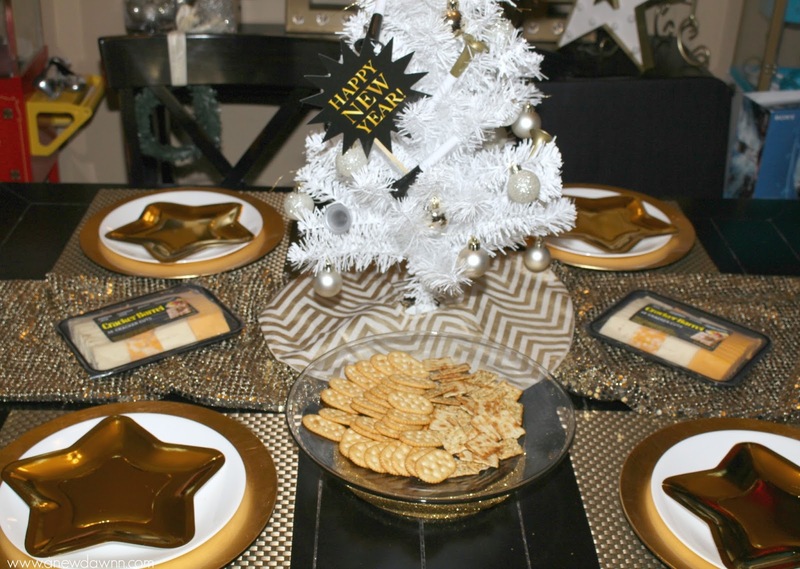 I purposely went with a cream/gold theme to keep things simple and allow me to use most of the decorations from Thanksgiving straight through New Year’s Eve with just a few little tweaks for each holiday. 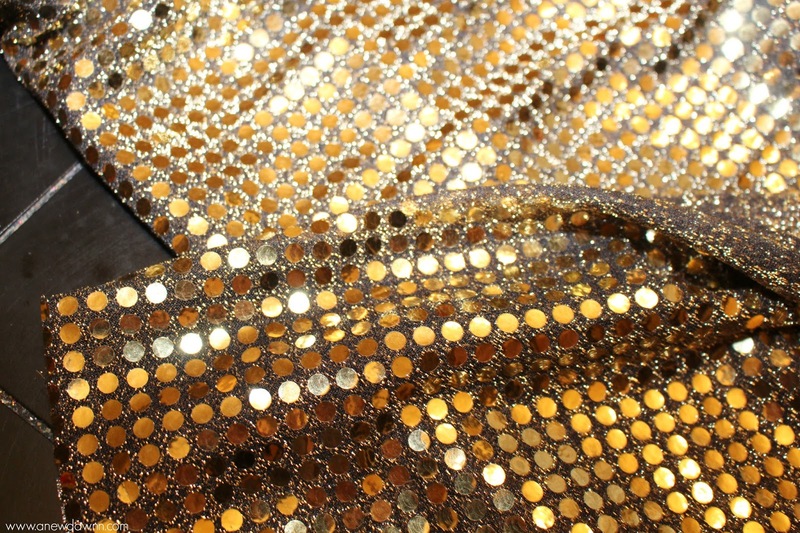 Since I’m decorating for New Year’s Eve, I wanted everything to be sparkly. 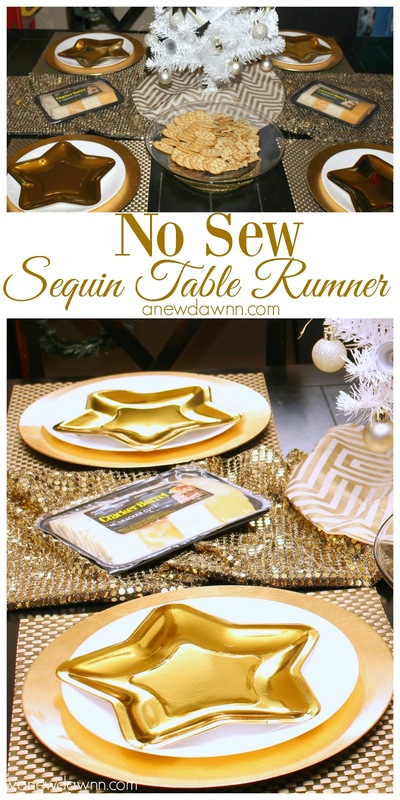 This no sew sequin table runner is just what the table needed. 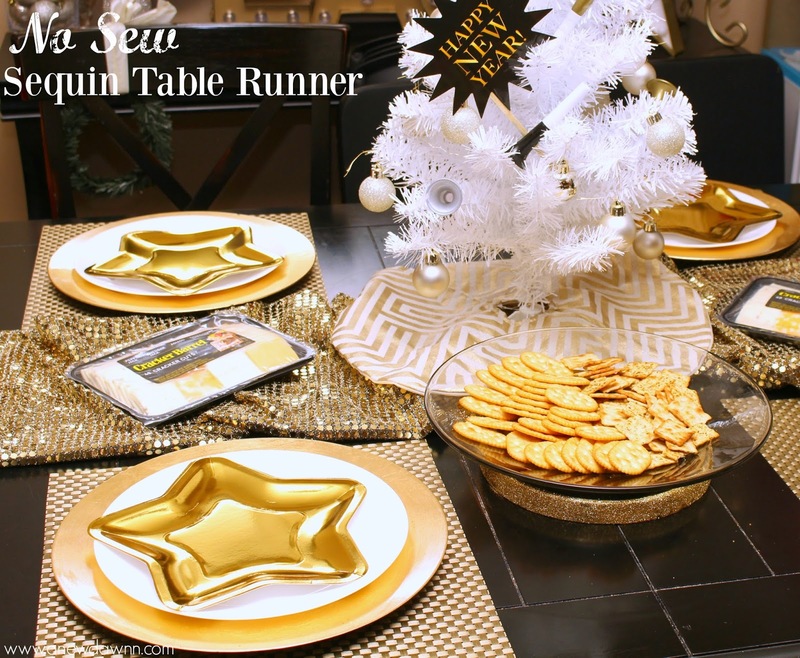 It’s bright, sparkly and perfect to display easy appetizers for our celebration. I even left the little tree on the table and just took off the Christmas decorations and added mini party horns and these cute 2016 glasses I found. While I’m still figuring out our dinner menu for the night, one thing I know we will be serving is lots of appetizers. Everyone usually brings over their favorite and I’ll fill in with some of our favorites as well as an easy dinner for everyone to munch on throughout the night. One thing I know I can’t go wrong with is a delicious cheese and cracker tray. 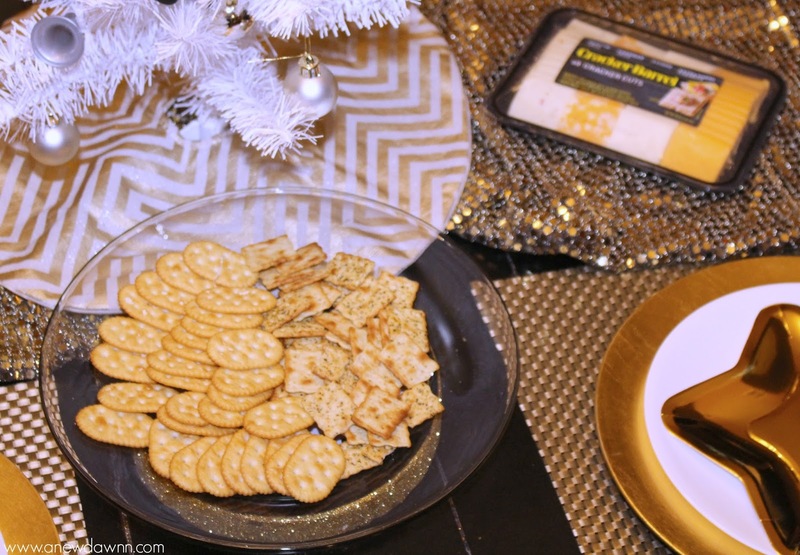 Who doesn’t love a good cheese and cracker tray? When I found these Cracker Barrel Cheese Trays, I knew they would be a perfect choice. Plus it’s already sliced and ready to go. That’s one less thing I need to worry about. 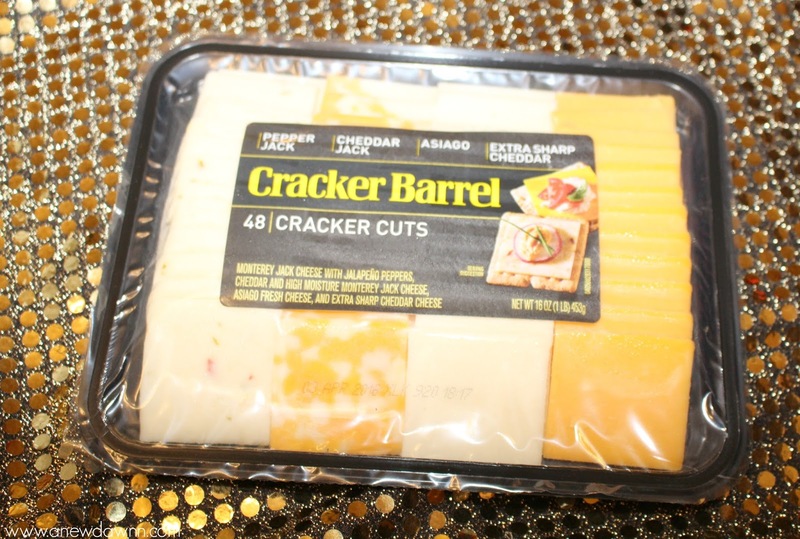 With four different flavors of delicious Cracker Barrel Cheese, all I needed to add was some crackers for an instant appetizer. Now back to this incredibly easy table runner. 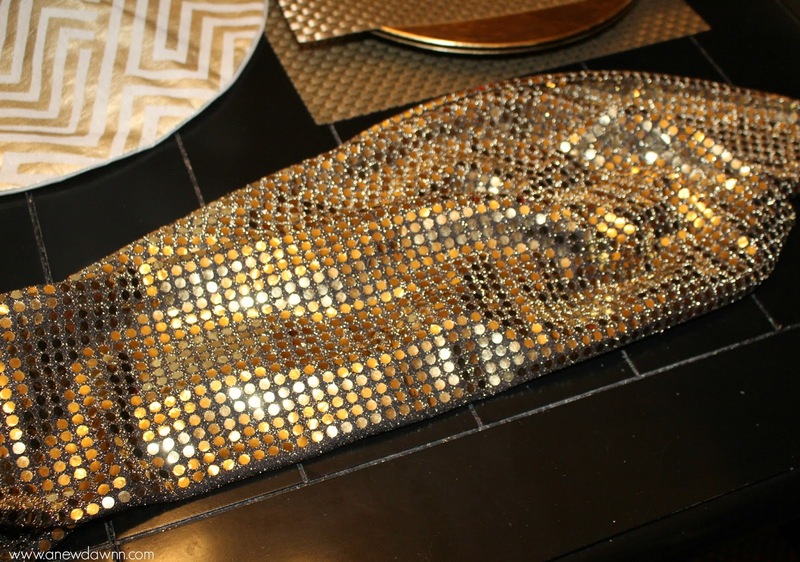 I wanted lots of sparkle and shine on the table and I just love how this table runner turned out. I purchased a yard and a half of fabric for my table. I didn’t want it hanging off the edges but I wanted it long enough to bunch in spots. It was already folded in half when I purchased it so all I had to do was seal the open sides. 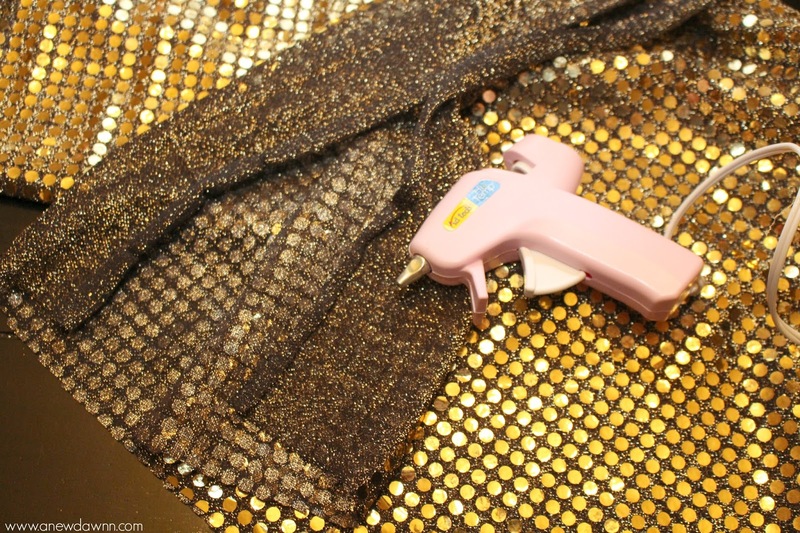 Ordinarily I would use heat bond tape to seal it but I wasn’t sure how the sequins would hold up to the iron. Since it seemed to be sold out, I took that as my sign to figure out another option. So I whipped out my hot glue gun and just folded over the extra fabric all the way down. Starting with the smaller ends, I applied a thin layer of glue in small sections at a time. Once I applied the glue, I pressed it down and held it for a minute to make sure it sealed. I continued this all the way around the open sides until it was all sealed. That’s it! I told you it was easy. Probably one of the easiest projects I’ve tackled in a long time. Doesn’t it look so pretty and sparkly! 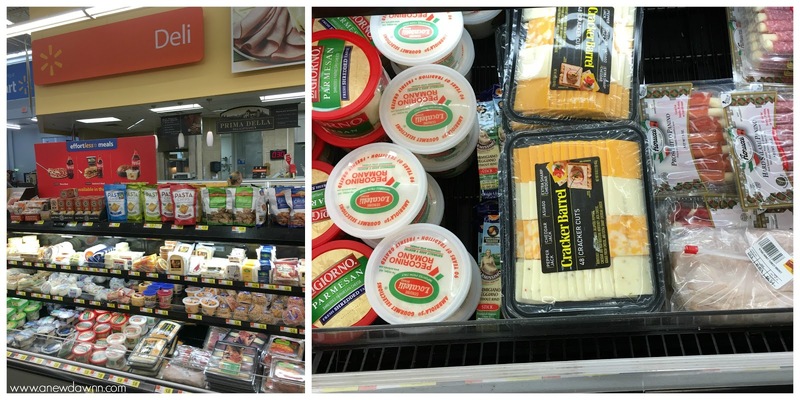 I picked up everything I needed, from the cheese to the fabric, at Walmart. You can find these Cracker Barrel Cheese Trays in the deli or cheese section of the store. My store had them in the deli department. Need more recipe inspiration? Check out all the delicious holiday recipes using Kraft products here! Also look for other great savings on Kraft Heinz products. You can save up to $13 this holiday season!